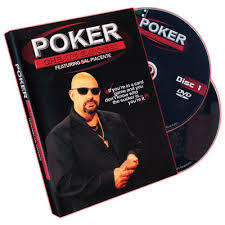 A 2-volume, 2-1/2 hour DVD program designed to help the legitimate poker player level the playing field by revealing the moves, devices and psychology used by professional cheats. Find advice on cheating detection/prevention and what to do when you suspect you've been cheated. Sal Piacente is a 20-year casino consultant who has worked for over 40 major casinos and law enforcement agencies worldwide, showing casino management, surveillance teams, and law enforcement officials how cheaters operate, how to detect their moves, and how to prevent them. As a bonus, "Charlie", a career poker cheat (now retired) who has never been caught, shows how he made his money and gives his take on the game. Whether you're a beginner or professional poker player, you can't afford to miss out. For the beginner, there is an on-screen lexicon of poker terms to help you follow along. For the professional, there are cheating methods never before seen.